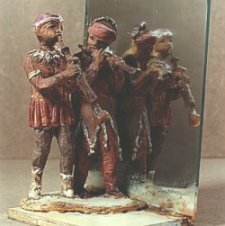 Maquette to simulate two live musicians in front of a mirror. 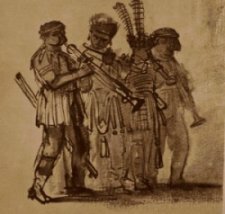 Rembrandt's drawing of four musicians. 1.) 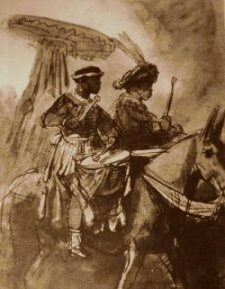 This one drawing proves the presence of the mirror and therefore the fact that Rembrandt did not have a photographic memory. This must be a studio event. 2.) The nearest flautist plays his instrument the wrong way round, the reflected flautist, the right way round. 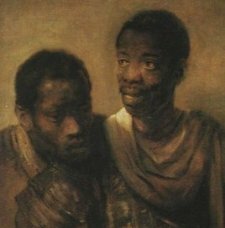 Double Portrait of the two Africans who must have been part of Rembrandt's entourage - appearing in several works. 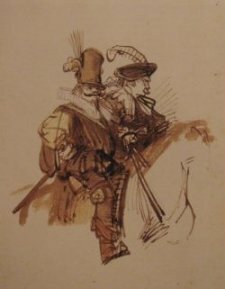 The Mummers - When Rembrandt is drawing a feather that is not there he uses a flourish and parallel lines expressing his lack of interest - almost disdain. The Drummers - Note how the drums and elbows meet at the mirror surface. Again Rembrandt invents a new hat and feather. These drawings were both developed in the same way. See how the elbows of both touch the mirror. In fact the two mummers ride too close together to be on separate horses. 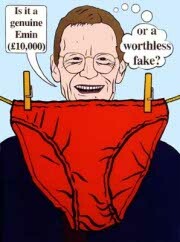 This use of the mirror is a recurring gambit, nearly 100 examples can be cited.